Lenovo will continue to destroy all advantages of ThinkPad design. Now we can see fully removed TrackPoint buttons because some designer figured out that it'll be cheaper to force you press trackpad. Btw, Ideapad brand will be destroyed as complete failure. And ThinkPad will be widened to try to sell all their crap. My IBM 600e looks like something made by alients compared to my modern ThinkPad. I worked for a company that rented older lenovos. We had thousands of them and I had to retire maybe 5. They were awesome pieces of equipment. My newer E series is no different from a cheap HP. Very disappointing. So is this the end of high quality pc laptops???? No, it is just one of indicators of the world going down. I've already realized that and started some time ago, we are just seeing consequences. It's sad though that IBM is becoming the same crap that many other companies are, I had this strange illusion that they were different. I first loughed when I read the name of the topic. My lesson: buy never again Lenovo! I have owned several of these over the years and they were very well made. You would think that there would be a market for something that is well made, but unfortunately people just look at the price and a few features. I use Thinkpads extensively for the last 8 years, and I can't say I had more problem with lenovos (x61s, x201) then IBM (T40, T41), but I agree that they are not going in the right direction. The Helix concept tempted me until I read that the trackpoint buttons disappeared. You can also install XP on them, works perfect. Yep, their keyboard is no match for modern models. One of their flaws is idiotic internal timer battery. I have all my computer gear assembled by me and I understand all this codec containers, file formats, even how the hardware really works to the point where you must be geek to understand more (I like it but have a life). But it's not possible as for my understanding to do that in the mobile world, (too many things that can't be controlled) and I don't want to carry my desktop (20 kilos) with three monitors around, so it comes the time when having a laptop is essential, more if you are dealing with dozens of hours of video material in the field. That's when you must find trust in reliability from some brands (returning to topic VK) like was IBM before Lenovo, I had in my hands pentium III IBM laptops faster than core 2 duo, how don't know but IBM was the best in the laptop world, and as for now a days they are still the best in innovation and reliability where there is still IBM hand behind. So yes I feel betrayed by Lenovo, where they just made crap from a very reliable and almost perfect engineered laptops from amazing IBM machines. Guys, you really went offtopic, we have appropriate place for this discussions, use it. I really suggest you to get TP 600e in good state. Remove battery, DVD, and replace HDD to small IDE SSD. Will be light, solid and with perfect keyboard. My daughter has had a Lenovo SL500 for several years. She uses it for video editing with Sony Vegas. Although it is flimsier than a TP 600e, it has worked flawlessly (it has suffered a lot of wear and tear) (using Windows XP Pro). It is just about as fast as the newer laptops I was looking at before Christmas, since it has a core-2-duo class of CPU. the keyboard was the best part of the thinkpad for me. made using it a joy. heck, up until very recently, my desktop keyboard was an old SGI Indigo unit because it felt so great. New ThinkPad looks far more modern. 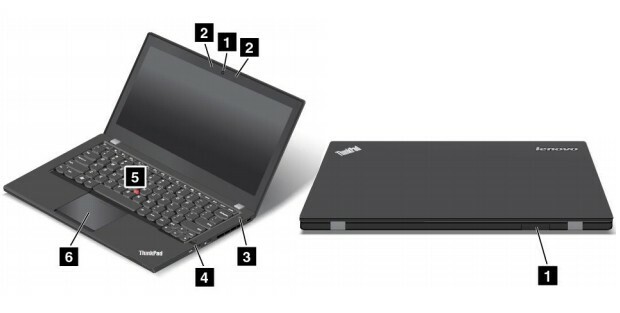 The reality is that older ThinkPad bodies never really felt as if they were designed for the current generation, but the company has abolished needless hooks, latches and bumpers, while also ridding the interior of the convoluted multi-button control mechanism. New ThinkPad designers are far more modern. The reality is that older designers never really felt as if they are making designs for current generations, but company heard the crowd and cutted needless hands, legs, pricks while also abolishing their heads and by decree moving their functions into their asses. Get your hands out of Thinkpads, motherfuckers!!! P.S. And remember that manufacturers now frequently buy good comments for all leading blogs and publications :-) At least I know that Panasonic like to do it. @thepalalias I find a surprising source of nice laptops, designed in USA, comes from Vizio. Might not be available outside of USA. Minimalist with no crapware. I just bought a 3.4GHz quad core T530 and retrofitted it with Win XP. Works great, compared to the 2005 vintage Core 2 Duo I am replacing. Cost about $970 with various discount offers. I don't worry about keyboard or screen as I almost always have external keyboard, mouse and monitor plugged in... Seems functional enough for me. And I can throw it into a suitcase when I need to relocate. With all four cores crunching away it draws about 70W, 40W on light usage. 240G SSD plus 500G hybrid instead of the CD drive. Plus various external USB3 RAIDs (USB3 via expresscard). IBM thinkpads used to be a joy to work on (By laptap standards of course) With great keyboards being the best part, but also quite responsive for most tasks. Lenovo makes them feel like every other piece of crap out there.